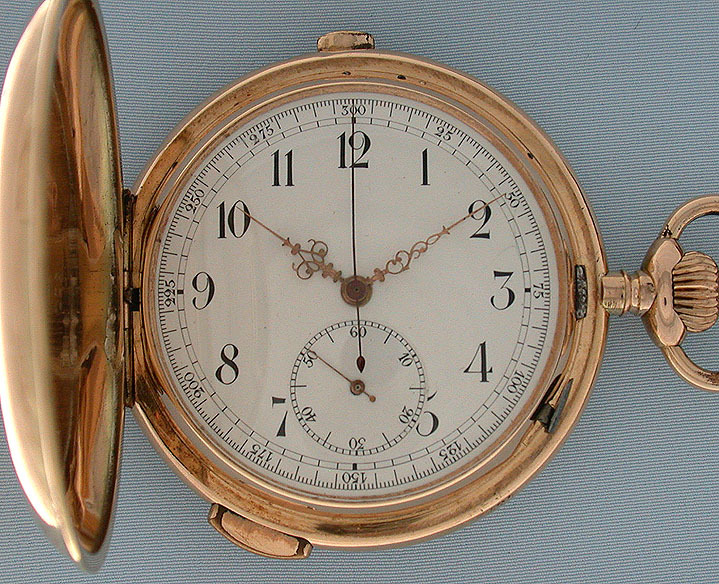 Unusual large and impressive Swiss 18K pink gold 3 chime quarter repeater chronograph circa 1890. 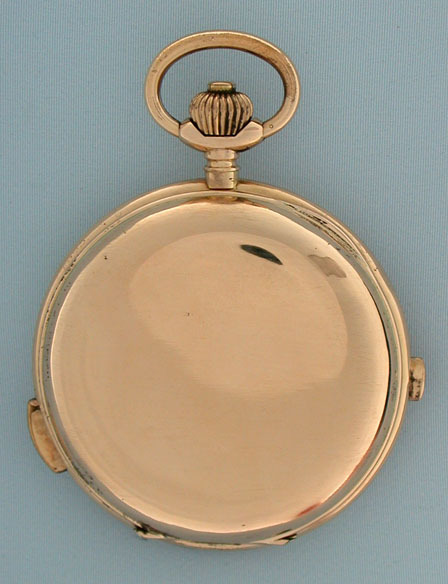 Plain polish case (edge dings) with buttons in the band to activate the repeater and the stop watch. White enamel dial with black markings and fancy gold hands. 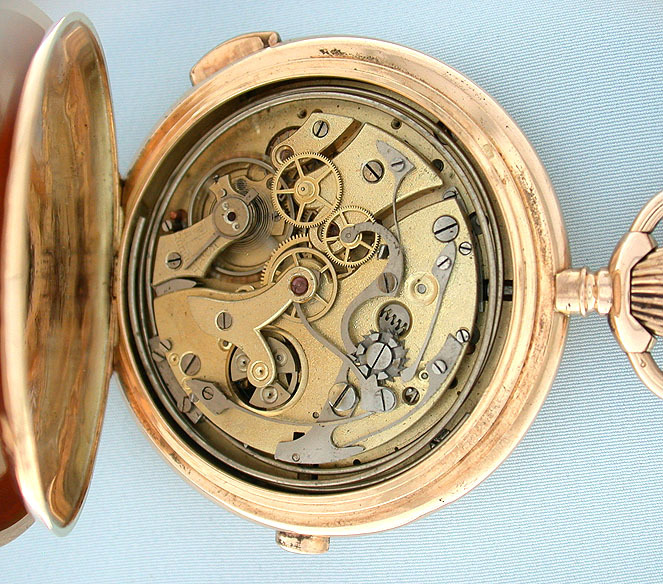 The dust cover with medals and movement description. 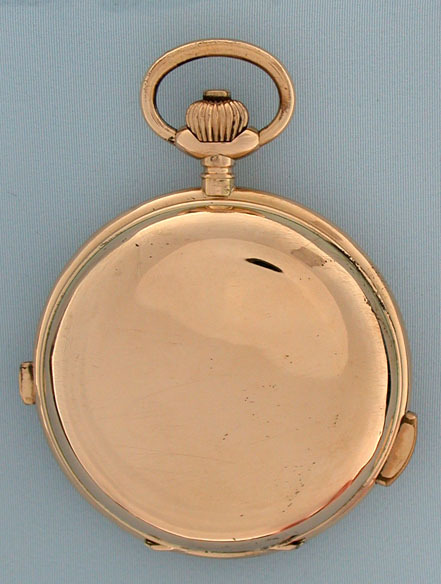 Gilt 15 jewel movement with silent governor and chronograph works on the back plate. 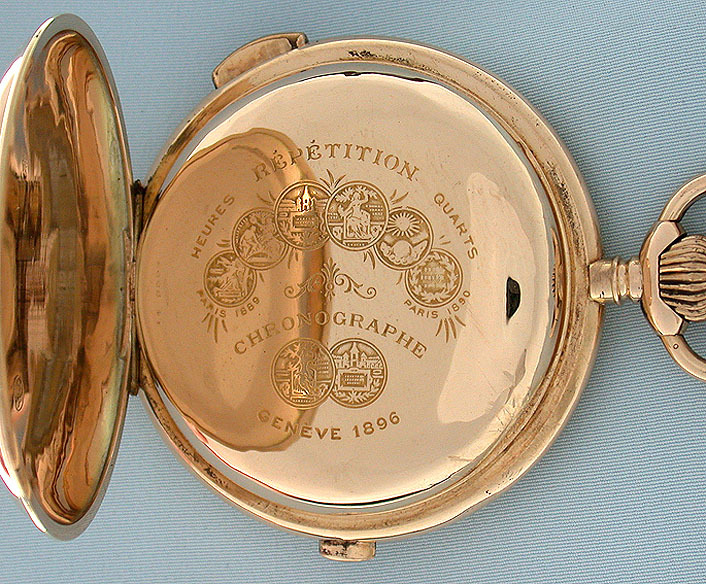 When activated this watch chimes the hours and quarters with three tones for each quarter instead of the conventional two.